As the extraordinary series of events has unfolded across the Arab world this spring, and rebellion and war stretch across the land and the airwaves, echoes of this conflict reverberate all the way to a tiny cottage in a quiet corner of the English countryside. Where T E Lawrence, or Lawrence of Arabia as he had become known, sought to escape from the intense scrutiny of celebrity. And visiting Clouds Hill you see the purest expression of the mind of a single, remarkable individual. 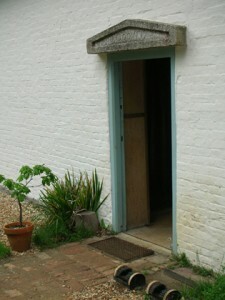 Entering the tiny hallway, eyes adjusting to the darkness, you are immediately aware of just how small the cottage is. But also of a ‘rightness’; that everything has been considered and is exactly as it needs to be. 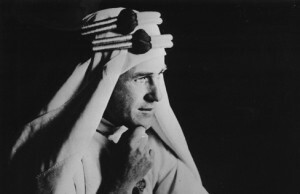 Lawrence first visited the Middle East in the summer of 1909 whilst still a student at Jesus College, Oxford. He set out alone on a three-month walking tour of crusader castles in Ottoman Syria, during which he covered in the region of 1,000 miles (1600km). The research fed into his thesis on The Influence of the Crusades on European Military Architecture, for which he gained a First in Modern History. He returned to the Middle East in December 1911 to join the British Museum’s excavations at Carcamesh in Northern Syria, and was still there in 1914 at the outbreak of war when, in October, he was commissioned and posted to Cairo, joining the Intelligence Staff of the GOC (General Officer Commanding) Middle East. Some of the evil in my tale may have been inherent in our circumstances. For years we lived anyhow with one another in the naked desert, under the indifferent heaven…. Lawrence was a central player in the kind of conflict that, in a Le Carre novel, might be described as a dirty little sideshow, in which betrayal is planned from the start. Appointed liaison Officer in the campaign, conceived by the Arab Bureau, of encouraging internal insurgency by the indigenous Arab tribes against their Turkish rulers, Lawrence fought with Arab irregulars under the command of Emir Faisal, a son of Sherif Hussein of Mecca, in extended guerrilla operations against the forces of the Ottoman Empire. This dislocation and fragmention of the self came to a climax in Deraa. Details surrounding this incident are left frustratingly vague in his account in Seven Pillars of Wisdom; it is at Cloud’s Hill that the conversation between the two selves of which Lawrence speaks is given concrete expression. In the desert Lawrence lived a life stripped to the essentials. At Clouds Hill we see this applied as an aesthetic. No paint, plaster or wallpaper; no kitchen or lavatory. Just the essentials as interpreted by a single, highly individual mind: panelling, bookshelves, bare wood and undyed leather. Somewhere to rest; somewhere to read; somewhere to listen to music. Clouds hill is an opportunity to see Lawrence. Unmediated. Returning to England after the campaign Lawrence attracted huge attention – thanks in no small part to the sensationalised reportage of American war correspondent Lowell Thomas, who was quick to spot the journalistic potential of Lawrence in full Arab dress, and went on to tour an ‘illustrated travelogue’ of Lawrence’s exploits in the desert for many years after the war. But whilst press and public mobbed him and competed to proclaim him a hero, Lawrence threw himself into trying to make good on his commitment to gain a fair settlement of the Arab claims, and to writing his account of the war. Attached to the Foreign Office, he attended the Paris Peace Conference as part of Faisal’s delegation, and the Cairo Conference in 1922, at which he worked as advisor to Winston Churchill and successfully argued for self-government in Iraq and Jordan – which he considered one of his greatest achievements. That summer of 1922 he also completed the ‘Oxford text’ of Seven Pillars, printed in a small edition on a press in Oxford. 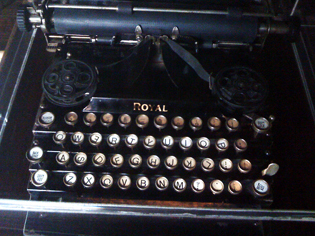 This was the second draft of the book; he had lost most of the first draft whilst changing trains at Reading Station. This concentrated period of work brought him to the verge of a nervous breakdown, and he did what many have done before and since – he headed for the country where he attempted to recover his shattered sense of identity and recreate himself as a man of letters. 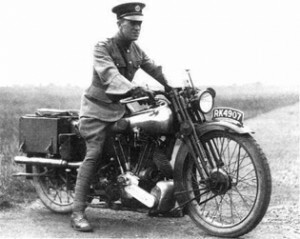 After an abortive attempt to enlist in the RAF under the pseudonym of J H Ross, Lawrence enlisted in the Tank Corps at Bovington in Dorset, using the name T E Shaw. 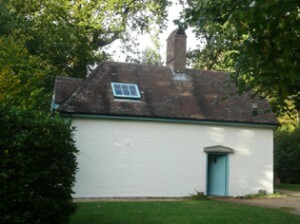 And in order to find a quiet place away from the base to work on a subscribers edition of Seven Pillars, he rented Clouds Hill, an unoccupied labourers’ cottage in a severe state of dilapidation, about a mile from the base. This is how the visitor finds Clouds Hill today. Every detail precisely considered, and often designed, by Lawrence, from the inscription, in Greek, in the stone pediment over the front door – ‘Don’t worry’ – to the three glass bell jars upstairs in the ‘pantry’, lined with foil against the damp. He removed the kitchen Knowles had installed downstairs and converted it into the book room, with the walls lined against the damp and bookshelves built to exact dimensions for his book collection. A bed covered in hide for reading, and a sleeping bag (one for him and one for a guest) for sleeping. To this he added an armchair chair and fender, constructed to his design and to suit his small frame, for warmth by the fire in winter. Finally, via ingenious plumbing, he added a bath – though no lavatory. Clouds Hill combines the bareness and simplicity of the Bedouin tribesman with the fruits of Classical European civilisation – music, books and art. All furnishings are stripped back to essentials. Nothing is superfluous. Nonetheless, the restless man of action was not entirely banished. He continued racing his beloved Brougham motorcycle through the country lanes to and from Bovington and visiting friends, for example the group of writers and artists at Chaldon Herring (East Chaldon) of Theo and Llewelyn Powys, Sylvia Townsend Warner, Valentine Ackland and others. Riding over on the Brougham he would time himself, each visit trying to beat his previous record. Just days after the last addition to the cottage – the port hole in the guest room upstairs – Lawrence was killed in an accident riding his motorcycle between Clouds Hill and Bovington. His funeral drew major figures in the political and military establishment, including Winston Churchill, to the nearby village of Moreton. If you are visiting Clouds Hill do make time to visit Moreton Church, just a short drive (or longish walk) away. There is also an excellent tea rooms in the village. The church was hit by a (possibly jettisoned) bomb in 1940, demolishing all the stained glass. Following a fundraising effort new glazing was installed in the 1950s, featuring etched panels by Lawrence Whistler. It is astonishing. Lawrence lies in the graveyard close by. (9) E.M. Forster to Alice Clara Forster 23.3.1924, M. Lago and P.N. Furbank, eds., Selected Letters of E.M. Forster, Vol. 2 (London, Collins, 1985) p. 50. (11) Letter to A.E. Chambers 24.8.1924. (12) Letter to T.B. Marson 21.12.1933.